Great Job! Currently our students have raised over $24,500, 44% of our $55,000 Goal!! All students are expected to raise a minimum of $75 for the Bowl-A-Thon and turn in their donations by Friday, September 16th. Bowl-A-Thon permission slips, signed by parents, must also be returned by that date. Because this is a school sanctioned activity, students who do not participate are expected to report to school on the day of the event. Tuesday, September 20th Bel Mateo Bowl 43rd & Olympic, San Mateo 8:45 to 10:15 a.m. Freshmen 10:00 to 11:45 a.m. Sophomores 11:30 a.m. to 1:00 p.m. Juniors 12:45 to 2:30 p.m. Seniors This is a minimum day for all students. Dismissal for each grade will be at end of class bowling session. Note: any student who is late to Bowlathon will receive a “cut” - not a “tardy”. Mercy High School’s Bowl-A-Thon is one of the highlights of the fall semester, thanks to the Student Body Officers (SBOs) who put on an amazing day for all of our Mercy students! New this year, Mercy has partnered with eTeamSponsor to administer and support the Bowl-A-Thon fundraising efforts ONLINE! eTeamSponsor is an innovating software platform that enables schools,Foundations and non profits to raise funds safely and effectively. 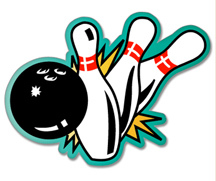 Click HERE for All Bowl-A-Thon information, Head of School message, Instructions, Prizes. Student Permission slips are Due Now!! Please turn them into the main office ASAP! *September is Attendance Awareness Month! Research shows that missing 10 percent of the school, or about 18 days in most school districts, negatively affects a student’s academic performance and standardized scores. That’s just two days a month; it is known as chronic absence. 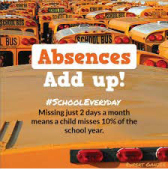 The academic impact of missing that much school is the same whether the absences are excused or unexcused. Attendance improves when schools engage students and parents in positive ways and when schools provide mentors for chronically absent students. Help support Mercy with your everyday shopping! Click here for more information on how to register online with these various sites AmazonSmile, eScrip, TARGET and Office Depot and select Mercy High School Burlingame as your school choice. Each time you make an eligible purchase, a donation is made to Mercy. 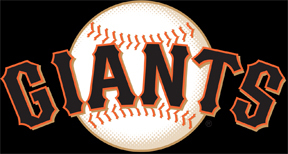 The Senior Tri-School Giants Game is Friday, September 16th, and tickets are selling out quickly! For $25, you will meet at Mercy at 5:00p.m., have an amazing night with hundreds of Tri-seniors at the game and return to campus by 11:00p.m. Forms are in the main office. This event has a limited amount of tickets, so act now! This week, during the junior religion classes, seniors will come and talk to them about the Kairos retreat that they can experience this year. This is an amazing experience and opportunity for your daughters. The spaces do fill up quickly so if you wish your daughter to attend, please encourage her to sign up. The cost of the retreat is $200.00. To reserve a spot we ask that you pay the entire $200 which is due by Thursday, September 22nd. The dates for Kairos this year are: Tuesday, November 8th through Thursday, November 10th. If you have any questions, please emai Angie Simonetti. *Junior Parent College Night is Tuesday, September 27th at 6:30pm in the Great Hall. We will have a representative from AJ Tutoring and an Admissions Counselor from St. Mary's talk about SAT/ACT testing and what to expect in the college search and application timeline. Look for your invitation in the mail this week! We need Volunteers for the Welome BBQ! Please click HERE to sign up to help. Thank you! Maya has been low score in each of the team’s first two matches this season. That is quite an accomplishment for a first year player. Maya is very dedicated to the game of golf and works hard to keep improving her skills. Keep up the great work!!!! *If you missed the interest meeting for basketball or soccer, come see Mr. Dougherty so he can explain what the expectations are for each of the sports prior to the start of tryouts. Tryouts for the Winter sports teams will start on Oct 31. *Softball fall conditioning started today. The team will be gathering on Wednesday and Saturday thru Oct 29. Any girl who is interested in playing and is not signed up, please contact Coach RG in the SBO office. *If an athlete wanting to play soccer or basketball is not involved in a fall sport, they are expected to participate in our conditioning program on Monday and Wednesday from 4-5pm. Any questions, please come see the AD. Every athlete must be fully registered in the Appryse system and cleared to play sports before they are placed on a roster. A physical is required to get cleared. You can go onto the Mercy website and go to quicklinks and find the drop down for Appryse. Simply click and start your registration process. Please remember if you are a returning student you still have to re-register. Any student athlete participating in a sport must turn in both the athlete and guardian contract. If the signed forms by both student and guardian are not turned in, the student will not be allowed to play in any event until they have turned in the paperwork. The forms are available on the Mercy website at https://www.mercyhsb.com/athletics/forms-athletic-qualifications. Click on the link and print the contract after you have read the Handbook. Completed forms must be returned to the Athletic Director or to the main office. All student athletes who are currently on a fall sport roster should be purchasing their Crusaderwear gear designed specifically for their respective team. The site to purchase the gear can be found on the Mercy website under Athletics. Any Parent who is available and/or willing to drive students to games must turn in all the paperwork to the main office in order to be cleared to drive. This would be for your own car or a school van. The form can be downloaded from the Mercy website on the Athletics page. We have upgraded the 2 elliptical machines and a treadmill machine in the weight room. This is in addition to the purchase of a rowing machine and a couple of exercise bikes for the Grassilli Center weight room. All girls are encouraged to utilize the facility. All girls need to check with the AD office to coordinate times for use. If you ever have any concerns/comments, please feel free to contact me at anytime. I can be reached at my office at Mercy at 650-762-1107. I am looking forward to a great 2016/17 with Mercy athletics. *Junior Parent College Night is Tuesday, September 27th at 6:30pm in the Great Hall. We will have a representative from AJ Tutoring and an Admissions Counselor from Saint Mary's College talk about SAT/ACT testing and what to expect in the college search and application timeline. *Tri-School Financial Aid Night will be on Wednesday, October 26th at 6:30pm in the Great Hall. This event is intended for senior parents to review important information about how to complete the FAFSA, review the different types of aid available as well as other relevant information. *Upcoming Events: Serra will be hosting the Tri-School College Fair on October 19th at 6:30pm. This event is great for getting more information about different colleges and for meeting college representatives. Plan to attend! College visits: This year we will be hosting a number of colleges on campus. These visits will be posted on Schoology, the parent page of the school website, and the College Visit calendar. It can also be viewed here: https://docs.google.com/a/mercyhsb.com/document/d/1T4-DxBXQt9U8pnLB33vVmUj-qnI7A8oua75y2PjIeQE/edit?usp=sharing.Students will need to give their teacher's one day notice that they will be attending the visit. Connecting with the college admissions counselors is an important part of the application process. The more these counselors interact with your daughter, the more they will know about them when they read their applications. Please encourage your daughters to attend. Register for the fall SAT at www.collegeboard.com. Students may take any SAT up until the December date for Fall admission. Be sure to register ASAP. Register for the ACT at www.actstudent.org. *Naviance: Students need to complete their Senior Autobiography and request their letters of recommendation by September 15th. They can now add their teachers that are writing their letters of recommendation to their Naviance account within the "My Colleges" tab. Students should also be updating their college lists in Naviance to reflect where they are applying and by which deadlines they plan to submit. If you need any help with this, see Ms. Mahalak! Schedule your senior fall meeting with Ms. Mahalak: Email Ms. Mahalak to schedule your senior fall meeting today! Parents are welcome and encouraged to attend this meeting. 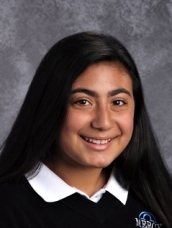 Personal Statement Writing Help: If your daughter is looking for more support with her personal statement writing, please have her check in with Ms. Mahalak. She may also reach out to her English teachers. Ms. Mountain and Ms. Horan are also available to help your daughter's with their personal statements. It is helpful to have more than one person read and review the personal statements. *Click HERE for Service Opportunities as posted to students through x2VOL for 2016-17 School Year. Looking ahead to Service Opportunities sponsored by Mercy High School. Click HERE 2016-17 for dates and times. If you have any questions about service opportunities please contact Mr. Diaz at pdiaz@mercyhsb.com. Wanna throw a shrimp on the barbie??? Fancy petting a koala??? How about boxing with a kangaroo??? Just kidding with the boxing! This summer the Visual and Performing Arts department will be traveling down under. We will begin our 15 day journey with stops in both New Zealand and Australia. For more information visit our website at: www.eftours.com/1812821vb or contact Mr. Ferguson at gferguson@mercyhsb.com for more information. 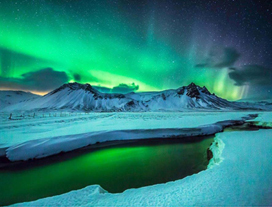 Iceland is calling. We are still trying to secure our school trip to Iceland. It is 5 days and 4 nights. The departure date will be Saturday April 15th, 2017. The price is about $2400 per student. This includes air, lodging, meals, transportation and much more! This is not just a sightseeing tour (although there is a chance you will witness the Aurora Borealis!) We pride ourselves on the STEM aspects of this trip such as geothermal and hydroelectric energy, geography, geology, earth science, volcanology and history. 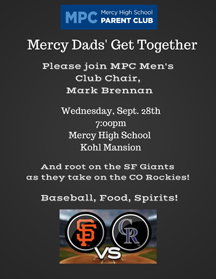 If you are interested, please contact Pat Bradley at pbradley@mercyhsb.com. We will need to secure spots ASAP with a $200 deposit. This is open to all grade levels! Join us for a trip to the Galapagos Islands to explore their unique biodiversity! There's no better laboratory for conservation and biology field studies! From the waters teeming with species found only here, to the highlands inhabited by giant tortoises, you'll work to understand and protect this fragile ecosystem. We will be working behind the scenes at the Darwin Research Center, collecting data on the baby tortoises, snorkeling around various islands, and helping to clear out invasive species. Students will receive 20 core service hours. The trip will be from July 10 – 21, 2017. Details can be found by clicking HERE. 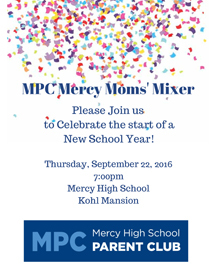 Parents and alums are welcome to attend! 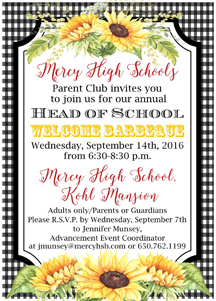 Please contact Jennifer Lambdin,jlambdin@mercyhsb.com, if you have questions. Here are some photos from our 2012 trip! Thursday: All Beef Taquitos Fresh 92%/8% Mexican seasoned ground beef, rolled in flour tortillas and baked to perfect crispiness. Served with Spanish Rice and shredded salad blend with Queso Fresco cheese...options of Salsa, Sour Cream and Guacamole will be available to you as well. Gluten Free??? Have no fear...we will make you that perfect Sandwich or an incredible Salad...In case our lunch special does not fit your diet!!! Items marked with a * are new additions to this week's newsletter or new information has been added to this item. Items listed without a * were in last week's eNews.